Located inside The TASIS School in Dorado, our Fab Lab offers students the opportunity to invent, create, solve problems, understand the engineering design process, and turn their ideas into reality. Fab Lab TASIS Dorado is a 1,200 square foot space in which students can gain experience with the latest in technology, while developing skills in research, design, and creative problem-solving. Our space will provide the means and support for people to design, prototype, and test their ideas by using both high-tech technology and low-tech tools. The aim of our program is to transform education and expose members of the local community and students of every level to the experience of bringing their own ideas to life. Equipment provided in the Fab Lab includes a laser cutter, desktop CNC milling machines, 3D scanners, and two different types of 3d printers. We also have a lounge area for idea development, brainstorming and consulting. 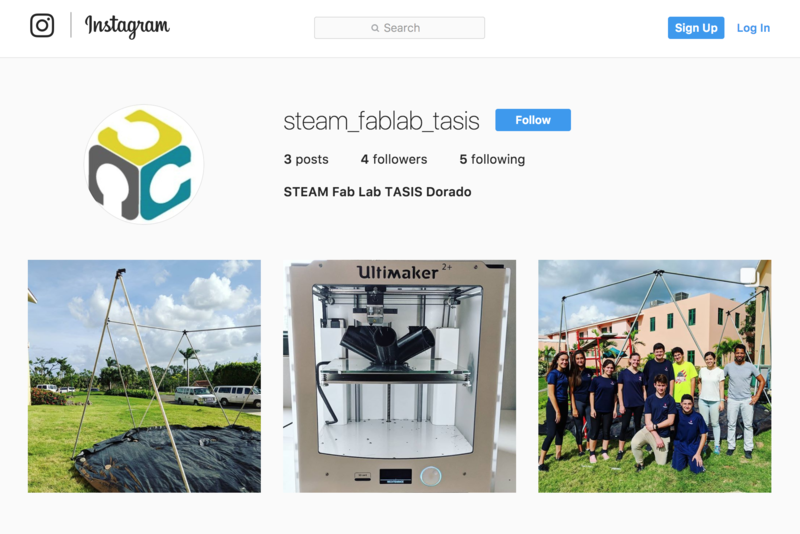 The equipment and space at Fab Lab TASIS Dorado is open for student, teacher, classroom and community use. The Fab Lab Network is an open, creative community of fabricators, artists, scientists, engineers, educators, students, amateurs, professionals, of all ages located in more than 78 countries in approximately 1,000 Fab Labs. From community based labs to advanced research centers, Fab Labs share the goal of democratizing access to the tools for technical invention. This community is simultaneously a manufacturing network, a distributed technical education campus, and a distributed research laboratory working to digitize fabrication, inventing the next generation of manufacturing and personal fabrication. Check out our NEW Instagram Feed!